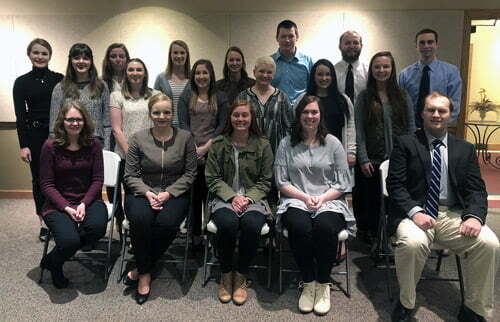 The Hastings College chapter of Omicron Delta Kappa (ODK), a national leadership honor society, welcomed 18 new members at its annual induction ceremony in January. New Omicron Delta Kappa (ODK) members for 2018-19. To be inducted into ODK, membership qualifications include being in the top 35 percent of juniors and seniors classes and demonstrate exemplary character. ODK encourages collaboration among members across the five phases celebrated by ODK: scholarship, athletics, service, communications and the arts. ODK honors and develops leaders through scholarships, workshops, career opportunities, leadership resources and a lifelong connection to other members.